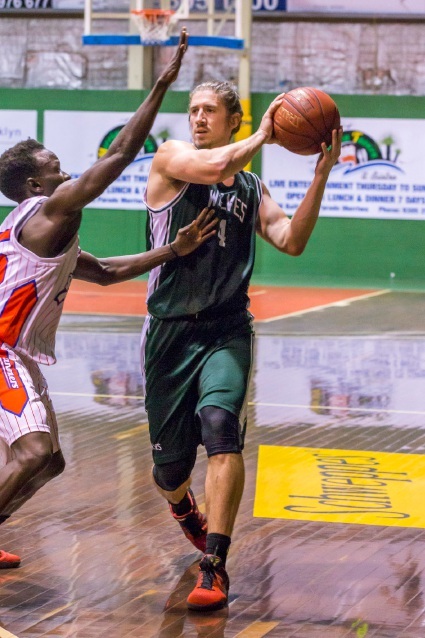 AFTER a month of home games, Joondalup endures its furthest journey of the State Basketball League regular season when it faces the Goldfields Giants in Kalgoorlie on Saturday. While Niels Hansen Stadium contests always pose a challenge for away teams, the top-placed Wolves will be fancied to increase their winning streak to five over the seventh-placed Giants. Joondalup welcomed back Wolf-turned-Wildcat Greg Hire against South West last weekend with a 115-83 victory at Joondalup Basketball Stadium. Hire, who is looking to maintain his touch in the NBL off-season, came off the bench to take eight points, nine rebounds and two assists in just over 21 minutes of game time. Captain Seb Salinas was in fine touch to hit a team-high 24 points at a 60 per cent clip. Bobby Evans led the rebound count with 10 boards. The Wolves were outdone by eight points in the final quarter, but had iced the game at that stage to win by 32 points. South West marksman Tre Nichols impressed the Joondalup crowd with a game-high 34 points. The fourth-placed Lady Wolfpack increased its winning streak to four with a 105-67 win over the bottom-placed Slammers – the side’s biggest of the season. Joondalup’s Amy Kidner dominated the 38-point triumph with 31 points hitting an outstanding 87.5 per cent of shots from the field. Klara Wischer fell two assists short of a triple-double in a 28-point, 15-rebound and eight-assist display. Kidner would have had game-high scoring honours had it not been for South West’s Courtney Bayliss landing 32 points. The women’s team has a bye this weekend.